Before I get into this CliffNotes that is particularly fun for me write, let me remind you that we have only one service this Sunday, 10am at the TexFed, a Lessons & Carols service with Eucharist. As we celebrate this Christmastide and bring in the New Year, I want to invite you also to celebrate with me next week’s ordination of Terri Fisher as deacon in the Anglican Church of North America (ACNA). 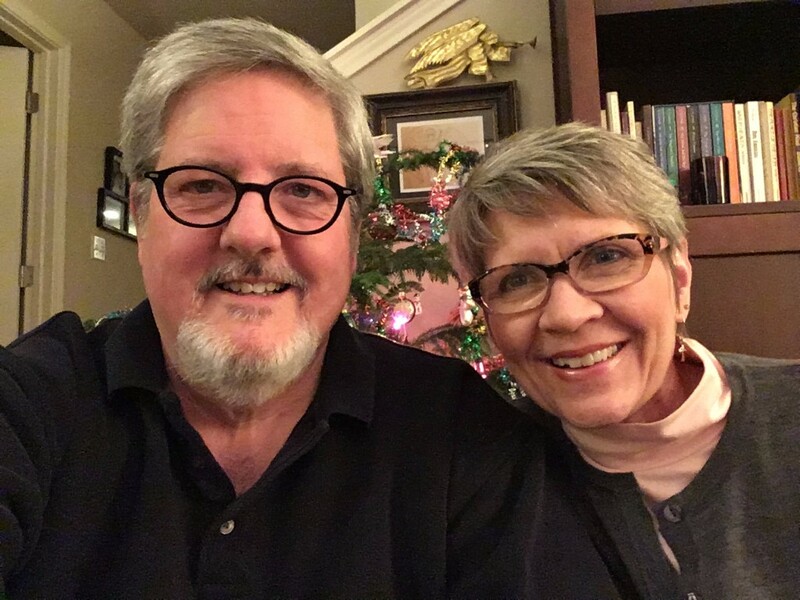 I’ve had the privilege of knowing Terri for almost eight years, as she and her husband Mark have been deeply embedded in our community, and as she has served sacrificially and lovingly in many arenas of our parish life. After several years of consideration, prayer, training and formation, and meeting this fall with our Parish Discernment Committee to listen to the Lord together, Terri will be ordained by Bishop Todd Hunter next Wednesday night, January 4, in Plano, Texas. My heart couldn’t be more glad and full to see our bishop and church affirm this calling in her life. Read more to here to learn a bit of Terri’s story. What is a deacon? There are two kinds of deacons, transitional and permanent. We have had several deacons at Christ Church in recent years. first with Nancy Scammacca Lewis (now living with her husband Randy in Chicago), and then Fr. Peter Coelho and Fr. Brian Murphy. All priests serve first as a transitional deacon before being ordained to the priesthood; however, the beautiful calling of being ordained as permanent deacon is Terri’s calling. Back to the question . . . what is a deacon? In the Anglican church deacons are a distinct order of ordained ministry, with a special ministry of servanthood. The word “deacon” comes from the Greek word diakonos (“servant”). That servanthood has three expressions: (1) as a bridge between the church and the world, they are servants who represent Christ and his people to arenas external to the church, with a special emphasis on ministry among the vulnerable and marginalized; (2) as liturgical servants, assisting priests and bishops as they preside in the sacraments of Holy Eucharist and Holy Baptism, as well as in the reading of the gospel and the dismissal of the congregation into the world on mission; (3) as agents of compassion and care among those within the parish who are hurting or ailing, companioning them in the presence of Christ. Would you add the following intercession, which will be prayed over her in the ordination service, to your own prayers for her in the coming week? an effective example in word and action, in love and patience, and in holiness of life. Grant that we, with her, may serve you now, and always rejoice in your glory; through Jesus Christ your Son our Lord, who lives and reigns with you and the Holy Spirit, one God, now and for ever. Amen.